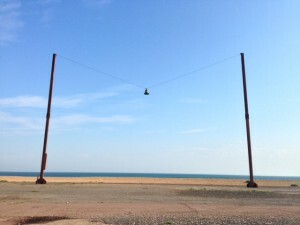 Last week I spent an afternoon and evening in Folkestone; to have a meeting with Folkestone Triennial / The Creative Foundation to discuss the training I am going to deliver for their ‘hosts’ later on in August. 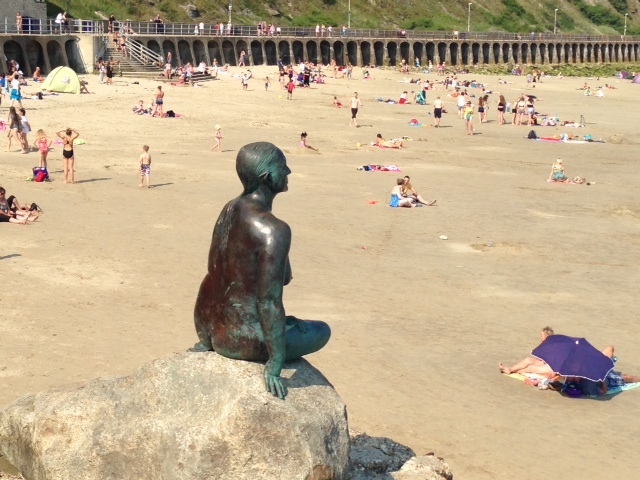 This third Triennial opens on Saturday 30 August through to the 2nd November 2014, and looks to be really exciting with a wide range of artists and new artworks based on the theme of Look-out. In the evening, I walked around the town, eager to explore the artworks left in place from the two previous Triennials in 2008 and 2011. 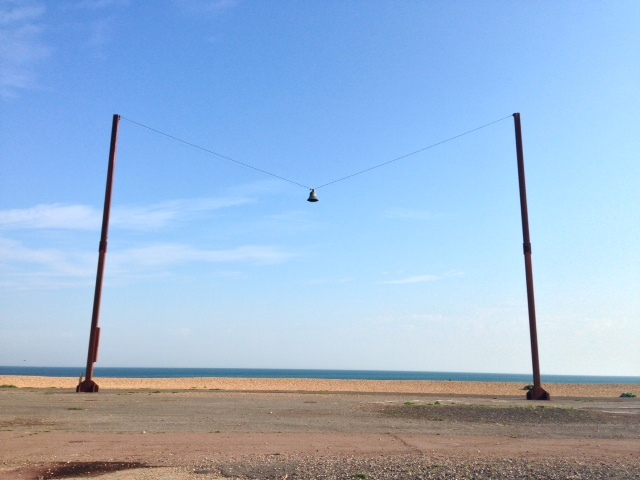 This was my first visit ever to Folkestone; for some reason I had never made it over to see the other Triennials. But I do remember in some detail reading about many of the artworks – about the bell on the beach, suspended on a wire 20 metres above the ground, about Tracey Emin’s tiny bronze baby shoe and knitted cardigan, left on and under railings; of Cornelia Parker’s mermaid, a bronze life-cast of a local resident, who looks out to sea and is a direct nod to the infamous Little Mermaid of Copenhagen. 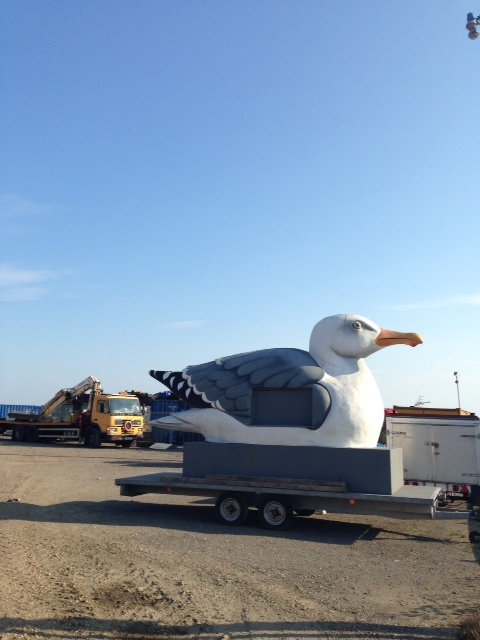 But what I remember reading about more than anything is Mark Dion’s huge Seagull, that travelled around the town in 2008. ‘The Mobile Gull Appreciation Unit‘ was a mobile space that you could go inside and find out about ‘the evolution, ethnology, natural history, environmental status and folklore of these remarkable animals’. 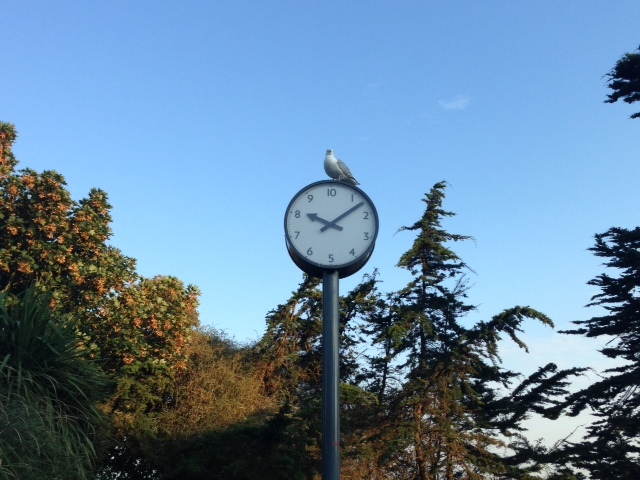 Seagulls have a hard time of it – many people hate them with a vengeance, as they loiter above your head waiting to swoop down and take that pasty clean out of your mouth. Mark Dion is one of my favourite artists. His approach, as artist, ethnographer and collector means he responds to certain situations and places with thoughtfulness and sensitivity. Take the 2012 dOCUMENTA (13), where he designed a beautiful hexagonal oak cabinet made to house the Ottoneum’s unique ‘Schildbach Xylotheque’ – a ‘wood library’ made in 1771–79 of several hundred books carved out of different species of trees. Dion is interested in classification. With the Seagull Unit he offers visitors and the people of Folkestone an opportunity to engage with birds through research; and through the actual physical act of entering the bird-unit in order to understand it better. So, as I left my hotel to rediscover some of these artworks, I instantly saw the Seagull in the distance; parked forlornly next to a coach park and building site. 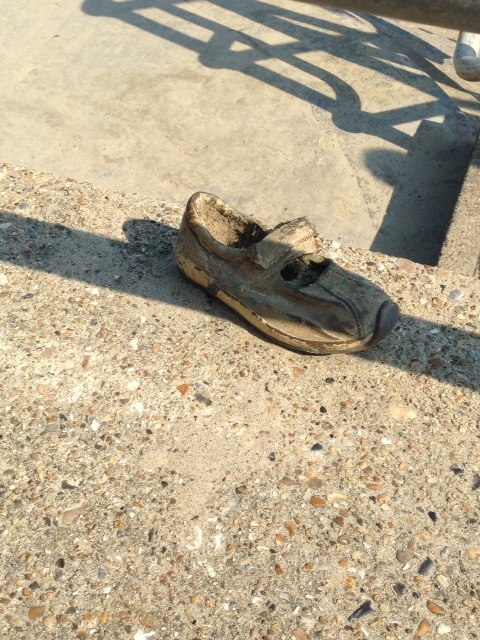 I was dumbstruck by this – it’s a MARK DION artwork! –literally washed up with no ‘home’ to go to. And as I walked slowly on down by the beach and along the Zig Zag path, taking in the colour wheel of Spencer Fitch (still looking very good); the Ruth Ewan clock which looks very grand but doesn’t make much sense I think, to passers by (and ironically provides a great perching spot for seagulls) – I reflected on the idea of legacy and public art. The term legacy is a key one for many cultural organisations and never more so than for those commissioning public art. Art situated out in the public realm has to be considered within its context, including time, space, location, memory, associations and expectations. It is often the case that the initial period of making and celebrating the completion of a public artwork involves interaction with a community; with individuals that can offer an opinion about it and hopefully feel a sense of ownership of it. But what then of its life? What then is the relationship that a town and its residents have with that artwork? Is it still used’ – as a place to meet, as a talking point, as an educational tool? Is it still ‘seen’? It’s often the case that we don’t actually notice what’s around us as it so quickly becomes familiar. 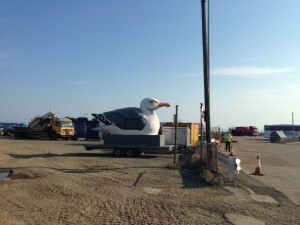 I see from the Triennial website that the Mobile Gull Appreciation Unit came out again for the May Bank Holiday weekend in 2013. If only they could offer it out to other seaside towns – it would go down a storm in St Ives in Cornwall, where the seagulls there are particularly vicious. Maybe it could spend part of its life in a bird sanctuary – just a thought.